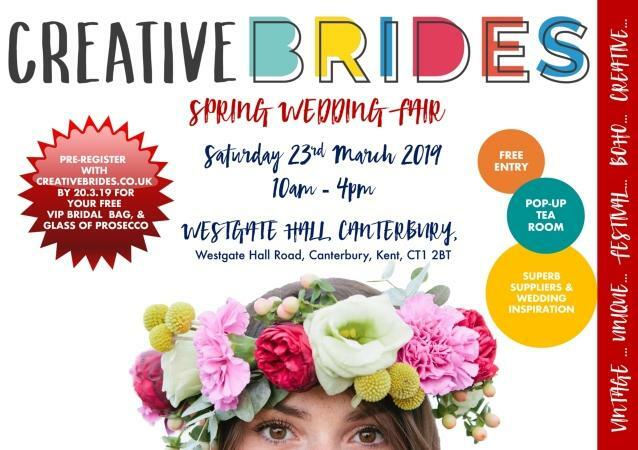 Meet super suppliers, free VIP Bridal Bag and prosecco, plus heaps of wedding inspiration. Pre-register with www.creativebrides.co.uk for your VIP Bridal Bag and complimentary glass of Prosecco. Come and discuss your big day with our fantastic suppliers, and enjoy some tea and delicious cake in our pop-up vintage tea room.